Live like a royal and play in the Grand Duke Casino, which is an online gaming site owned by Integra Gaming Ltd. Casinos. The gaming site has been established in 2010 and licensed under the jurisdiction of Malta. This classy company has already gained many followers as it offers games from the renowned software provider named Playtech. Both instant play version and downloadable software installer version are available for the players. Playtech offers traditional and modern games. For instance, there are the Marvel-themed games that the Marvel comics' fanatics will surely adore. Pink Panther lovers will also enjoy playing the game patterned to it. 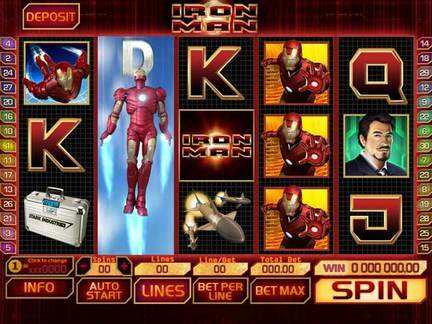 Of course, the common casino games are also present. The list includes single-hand and multi-hand blackjack, roulette, craps, baccarat, single-hand and multi-hand video poker, Caribbean Stud, and other table games. There are actually more than 300 games to choose from. The site can be configured to use different languages such as English, German, and Russian. Note that the gaming site prohibits players coming from several countries like Afghanistan, Antigua, Bangladesh, Belgium, Cyprus, Estonia, France, Hungary, India, Iran, Israel, Netherlands Antilles, Philippines, Spain, Turkey, and United States. In terms of promotions, Grand Duke bonus is quite impressive. Initial deposit of the new players is being matched with 100% up to $1200. This is really a huge amount compared to the welcome promo of other casinos. The company also has a VIP program. Once a player becomes a member of the VIP club, he will be treated as king with personal account manager, easier withdrawal process, and extra bonuses. Customer support of the company can be accessed through e-mail address, toll-free phone numbers, and live chat feature. One of the complaints against this gaming site is the misleading terms and conditions for bonuses. There is an instance when the site declined the winnings of a player for not meeting the wagering requirement. The player raised this issue but wasn't able to retrieve and cash out his winnings. This issue remained unresolved. Other than the failure to pay out a player due to misunderstanding of rules, most of the comments on the site are positive. Thus, the Grand Duke Casino deserves a 4 out of 5 rating.